Step into this gorgeous Italian leather sandal, and you’re ready for any occasion! The Corrina comes in your choice of fresh citrus hues or neutral leathers, all beautifully burnished for a rich two-tone finish. 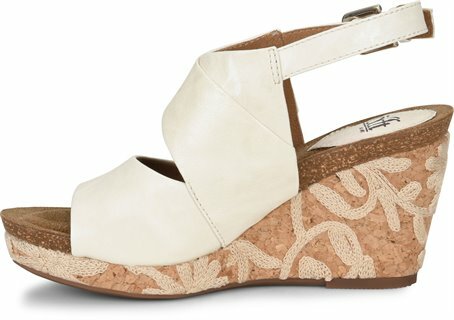 Plus it’s set on a pretty cork wedge that will keep you feeling light on your feet.